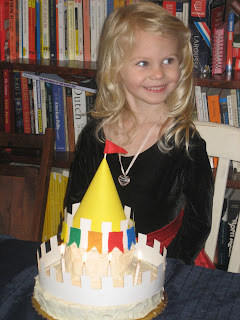 Life with Lucie & Ella: Happy Birthday Ella! Today is the day! It was FOUR years ago today that I became a mother when my sweet Ella Rose was born. (You can read about that story here.) We're headed out to dinner to our favorite restaurant right now. Come back tomorrow to hear about Ella's Birthday party! She is so beautiful and so happy! Hope your day was great, Ella Bella!